Through the generosity of donations to the Surviving Winter appeal, Norfolk Community Foundation has already distributed grants totalling over 58K to organisations and charitable groups that provide direct help to vulnerable people who face particular hardship and are at risk of crisis over the winter months. The aim is not to just to help prevent crisis, but also to help people plan ahead and find their way to a more positive future in the long term. Providing free hot meals and additional support for those who are vulnerable during the winter. King’s Lynn winter night shelter provides shelter to adults who are sleeping rough on the streets of King’s Lynn over the winter period. It is open seven nights a week from November to March, supporting 20 rough sleepers per night and catering to their immediate physical needs – shelter, food, warmth and companionship. Not only is the facility a safe haven for those sleeping rough but support is offered through signposting, to ensure single homeless people are aware of specialist support services that promote safer, healthier lifestyle choices and help individuals to live more independent lives. Shrublands Youth and Adult Centre Charitable Trust operates from the Magdalen Estate in Gorleston, offering a community base for all ages. In a deprived part of the county with many individuals and families classed as disadvantaged, with poor educational attainment and low aspirations, the group offers a range of activities including scouts, a companionship group, a carers café and sports. Our Surviving Winter funding has enabled the Centre to run ‘Souper Winter’, providing support to 30 local residents on how to keep warm and well during the winter months. The project will offer advice, companionship, a hot meal and drink and the opportunity to receive warm clothes through a clothes swap for 6 weeks. Alongside this the Centre will be hosting basic cooking on a budget sessions which will advise individuals on bulk cooking and freezing foods such as soups, sauces for pasta. Due to the complex needs of residents on the estate, budgeting does not come easy and people can find themselves short of funds quite frequently. Opening Doors is an organisation run by people with learning disabilities for people with learning disabilities. The group offers a range of training for individuals across Norfolk, including living independently, budgeting and disability awareness. This ensures that individuals are in control of their own lives and have the confidence to make their own decisions. 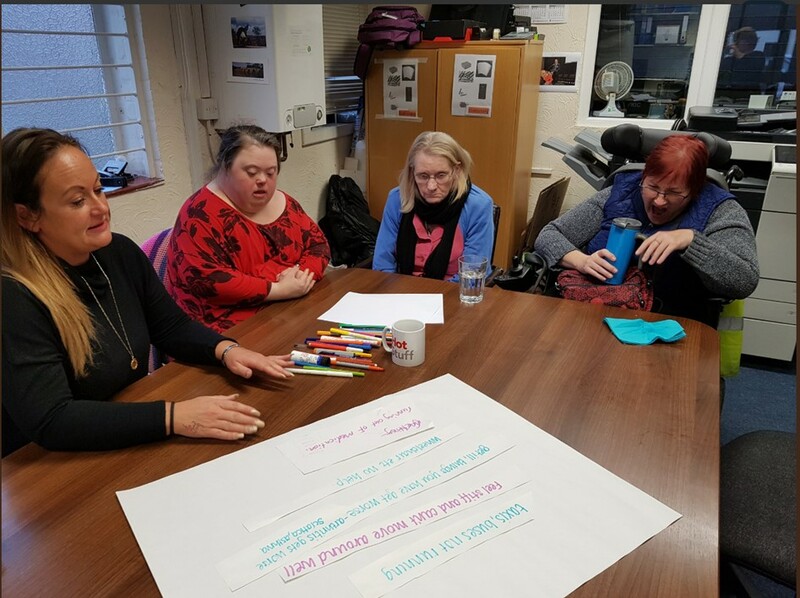 Our Surviving Winter funding is supporting 50 adults with learning disabilities to complete a ‘My Winter Plan’, outlining actions they can take to plan ahead for winter to ensure they stay healthy, safe, warm and well. Through interactive workshops individuals will identify the things they may struggle with during the winter months and work to identify where they can get help and support to help them cope. They will be provided with a range of helpful advice and guidance, with details on where they can find support if they require help with heating their home and also where they can obtain additional warm clothing. Some of the traditional ways of accessing information on winter wellbeing is not always easily accessible for those with learning disabilities, due to factors such as difficulty accessing the internet and issues with reading, so the Opening Doors project ensures that this information is made properly available. In addition, the ‘My Winter Plan’ will be sent to 20 learning disability service providers across Norfolk so they can also share it with people they support. All of these initiatives are making a real difference across Norfolk, both in terms of helping prevent crisis and also providing support for people to plan ahead. In the most extreme cases, they highlight a way out and provide a path to a better future. All of this inspiring change in Norfolk is taking place due to the generous donations to the Surviving Winter appeal, and to ensure that more people can be helped the appeal still needs continued help from businesses and the public.